When talking with Bloody Disgusting about “John Dies at the End,” Don Coscarelli oh-so-cruelly teased the prospect of Phantasm 5. I wouldn’t get too excited yet. He’s made almost the exact same comments on numerous occasions. Merry Christmas, fiends. 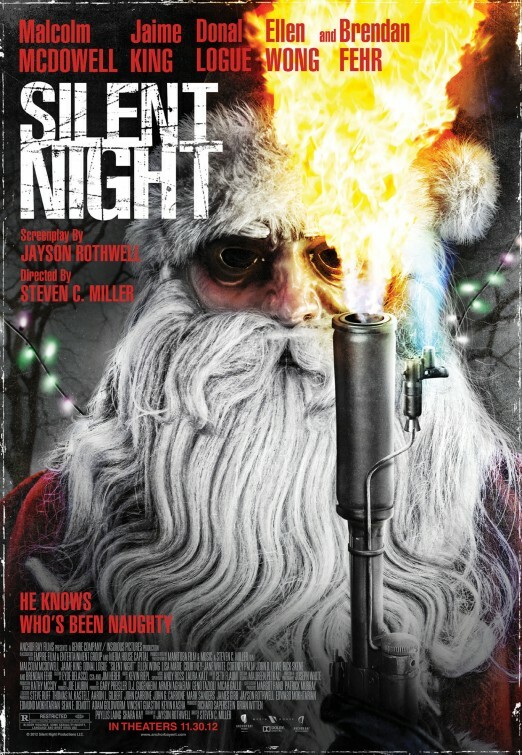 Check out the trailer for the upcoming remake of Silent Night, Deadly Night. Retitled Silent Night, it stars Malcolm McDowell and Jamie King, no strangers to slasher remakes as they’ve starred in Rob Zombie’s Halloween and My Bloody Valentine 3D respectively. Check out this trailer for Jurassic Park 3D. Complain about post-converted 3D all you want, but you know you want to see this. Here’s the trailer for Warm Bodies, a zombie love story. I think? This sounds like it could actually have the potential to be inventive and charming. I hope it fulfills that potential.